Under Apple's security protocol, data stored in the cloud is encrypted, as are data transfers to and from user devices. 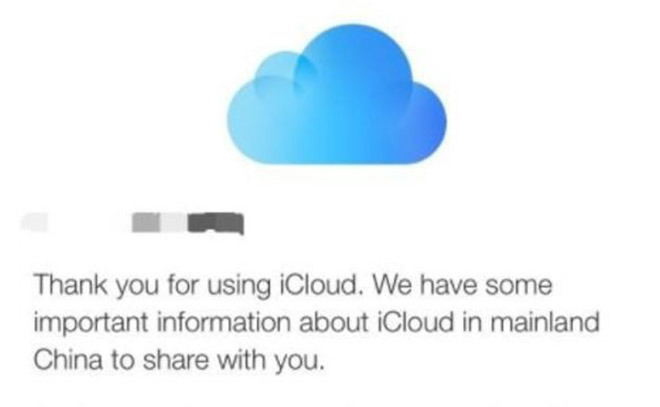 Like other systems, cryptographic keys are required to access iCloud data. Currently, all iCloud keys — even those for Chinese accounts — are located on U.S. servers, meaning governmental requests for access fall under the purview of U.S. law. For its part, Apple has repeatedly said the data migration is a requirement for operating iCloud and other cloud services in China, a lucrative region it cannot afford to overlook. Still, the decision to continue service in light of China's notorious record of censorship and government snooping is seemingly at odds with Apple's consumer privacy dogma. "While we advocated against iCloud being subject to these laws, we were ultimately unsuccessful," Apple said in a statement. The company went on to argue that maintaining iCloud with its partner GCBD is better than discontinuing the service, as doing so would lead to a negative user experience and would be detrimental to user privacy, the report said.